In a mixing bowl, add the chives and Champagne vinegar. Slowly whisk in the extra virgin olive oil to create an infusion dressing, salt and pepper to taste. 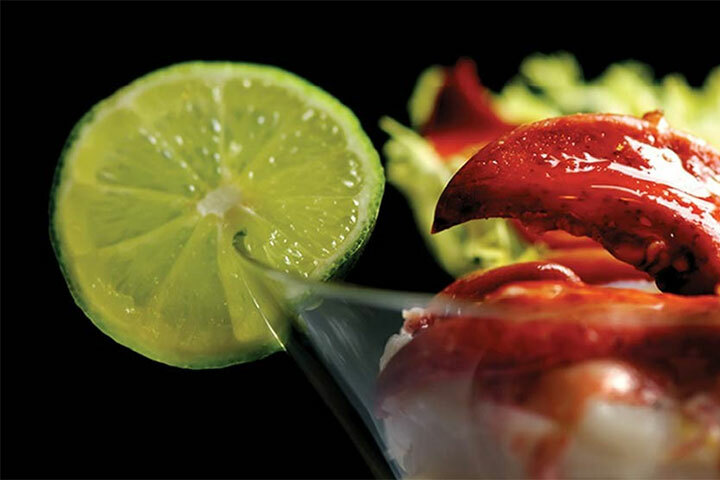 Add 1/3 of the dressing to the lobster meat, In a separate bowl, add the grapefruit, tomatoes, avocado and scallions. Toss the ingredients with 1/3 of the dressing and place in six martini glasses. Top with lobster and drizzle with remaining dressing.